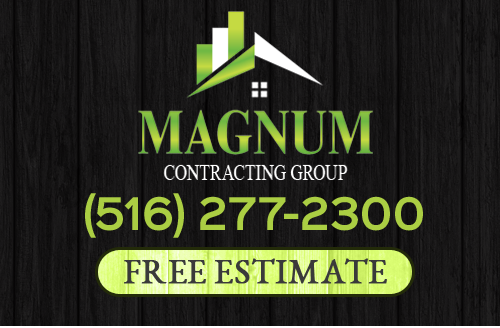 Here at Magnum Contracting Group, our team of Farmingdale roofing and remodeling contractors have made it our mission to provide local homeowners with the quality services they need to keep their homes looking and performing their best at all times. Whether you are just looking for minor repairs for your home's roof, or you are looking at investing in a serious remodeling project to drastically change the layout and function of your home, our team of experienced professionals have what it takes to get the job done, and get it done right. When it comes to quality in your home's roofing and remodeling services, we believe that you should never have to settle for anything less than the best, and when you make the call to our team of experienced professionals, you never will. Here at Magnum Contracting Group, our team of experienced Farmingdale roofing and remodeling contractors have the skill and training necessary to deliver the top quality service you deserve time after time. Our team of professionals will work with you directly throughout the entirety of your project to make sure everything stays on track and to ensure that the finished results of your work are exactly like what you had pictured in your mind before the work ever began. If you have any questions about our full line of high quality roofing or remodeling services, or if you would like to schedule an appointment for consultation with one of our specialists, give us a call today. Our team of experts are always standing by and would be more than happy to assist you in any way we can. When it comes to roofing maintenance and roof repairs, preventative is always going to be the more preferable option as opposed to emergency. It is much easier to deal with roofing issues while they are still small and have yet to cause any damage to other areas of your home than it is to try and correct them after the fact, and regular roofing inspections are absolutely critical in being able to do this. Anytime you suspect that your roof might have suffered damage, no matter how small, or you have had a particularly nasty storm roll through the area, one of the best things you can do is call in an experienced Farmingdale roofing professional and have them give your roof a thorough inspection. During the course of this inspection, our team of professionals will be on the lookout for any small signs of damage that you might have missed and address any issues that could become major causes of concern in the near future if left untreated. f you are looking for a professional roofing and remodeling contractor in the Farmingdale area, give us a call today at 516-277-2300 or complete our online request form.